Description: In an effort to centralize record-keeping and reinforce Sith-Imperial values, the Sith Emperor decreed that the entirety of the Sith Empire and its territories would orient themselves off of a calendar system that marked its year zero at the formation of the Exiles' discovery of Korriban and the native Red Sith. This is viewed as the beginning of the Sith Order, connecting the modern Sith Empire to their earliest forefathers over seven thousand years ago. Reception: Individuals who were patriotic to Sith culture and history embraced the new dating system with the same zeal that they embraced anything passed down by the government, while the rest of the population's reaction was more or less mixed depending on who they were. 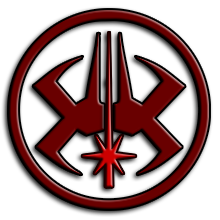 Some enjoyed the centralization of information across the Empire's vast territory because it made bookkeeping easier and streamlined, but there were those that viewed it as another method of the Sith to keep power invested in their religion by marking their own formation as year zero. And then the rest didn't care enough one way or the other and went on with their lives. A brief overview of the dating system, which utilizes the designation Before the Exile (BTE) and After the Exile (ATE) to measure time on official documents. Several example dates are provided to orient the unfamiliar by comparing it to their preferred method of dating. There had been many calendar dating systems over the eons to keep track of galactic events throughout history, with the Post Galactic Empire calendar being the most widespread in the galaxy, particularly by Republican governments who were predisposed to valuing the Rebellion's victory at the Battle of Yavin above all others. In the modern era, some governments have gone on to use either the beginning or the end of the Four Hundred Year Darkness as the year zero of this new epoch, while others have marked other specific events in history to elevate. The Sith Empire under Darth Carnifex chose to revere the foundation of their Order at the end of the Hundred Year Darkness over seven thousand years ago in 6900 BBY. This new calendar system was adopted by all levels of government and was encouraged across its vast territory as well, with the Imperial Mission serving as the primary vehicle for its distribution to newly annexed colonies.